Who doesn't love a wax seal... Seriously though? We are yet to find anyone! 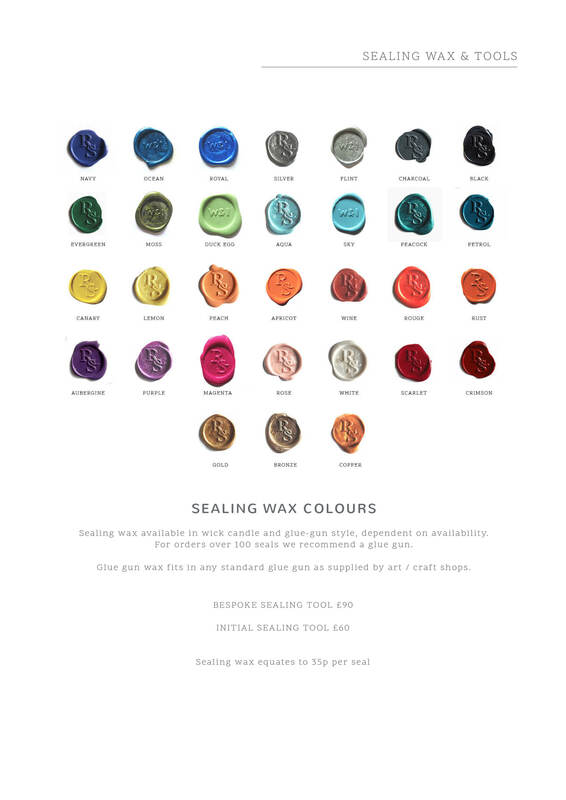 The best thing is we have an amazing range of sealing wax colours check them out here. A stunning detail that any recipient will love to open, sealing wax is embossed with your personalised seal. We provide the wax and the stamp the sealing is down to you. Our wax seal invitation design is designed around the intertwined monogram that is used as the sealing stamp. Bespoke seal stamps can be added to your letterpress stationery set. Made with a monogram, logo or motif to match your stationery set or business branding, we can also provide the wax. Our wax comes in candle wick and glue gun styles, glue gun wax will work with any standard glue gun. We have a wide range of colours from traditional red and pearl metallics to contemporary matt greys, and pastel tones. View Colours.